Inasmuch as dentists would like to say that a dental restoration can last for a lifetime, it is not something that can be easily guaranteed. 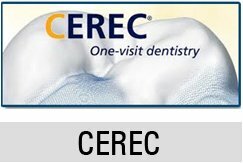 Sometimes, even the best dental bonding work and dental bridges can fail so they need to be replaced or repaired. Poor Oral Hygiene. The most significant and common reason North Alta Ave dental bridges to fail is poor oral hygiene practices. A patient with not crowns are expected to be particular about their oral hygiene practices and they have to be even more strict when they have North Alta Ave dental bridges or just see the prosthetics fail tremendously. Insufficient Abutment or Teeth Support. For North Alta Ave dental bridges to survive and function well, they have to be provided with good support because if they are not, there is uneven distribution of load and this results in trauma that causes the failure of the bridges in the long run. Bad Habits. A lot of bad habits can cause the failure of North Alta Ave dental bridges so they have to be avoided: nail and pen biting, excessive tongue thrusting, love for sticky, crunchy and tough foods such as candy, chips and nuts, night grinding and clenching and eating of ice cubes which may be bizarre but quite common. A patient who is seen with any of these habits can easily have to say goodbye to their bridges after short time because these habits are traumatic to the supporting abutment. Poor Choice of Material. There really are different types of materials used in the fabrication of dental bridges but they have to be properly matched to the case and the patient. For instance, plastic is good but they are not durable and if you insist on using plastic for posterior and even more when they are not reinforced by metal, they will be weaker in comparison to a bridge that is made of porcelain with metal framework. Porcelain is ideally strong but it is made weaker when there is no metal support making it durable. Poor Bone Support. When the quality of bone is unreliable, the North Alta dental bridges are going to be compromised because the teeth will not be able to stand firmly on the bone. 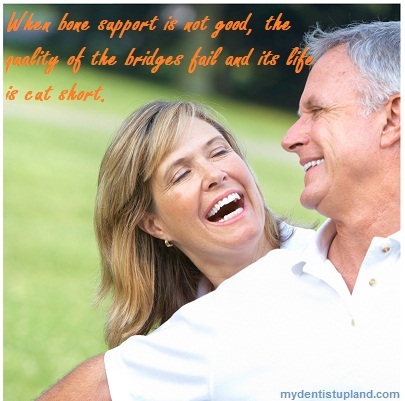 When bone support is not good, the quality of the bridges fail and its life is cut short. Absence of Professional Oral Care. Apart from the care you offer at home it is still essential that you see the dentist regularly for cleanings and regular check-up. North Alta Ave dental bridges may fail and this will be extra cost for you to cover in the future. Some problems are easily prevented so by being aware you are given a better chance to preserve the life of your bridges; but there are some issues that are going to be harder to prevent, so you just have to keep an eye on them. 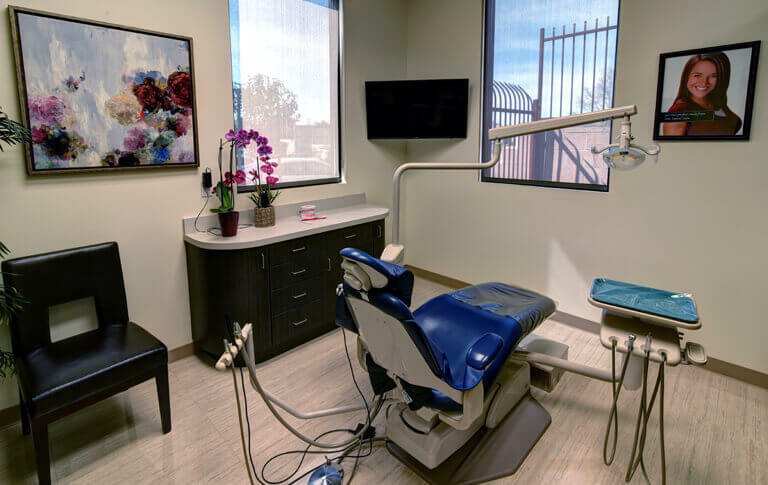 What is most important here is that you understand that that your dental bridges are not meant to last forever and they may require replacement and repair.